Summer fishing with Ben Wilson, Dyllon Schulz & Adam Melling aboard the Mitaia Rua. 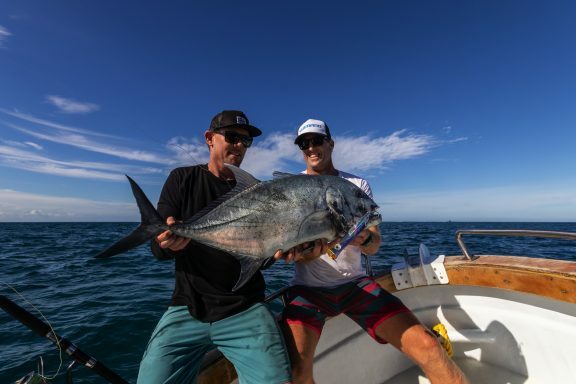 Ben, Dyllon & Adam arrived to Namotu in December with a truckload of fishing gear, poppers, stickbaits and dreams of top-water fishing and jigging. Namotu’s unique mix of seasonal pelagic species plus its resident species means a huge variety of fish.